Alpha-GPC is a choline-containing nootropic compound with much anecdotal evidence suggesting it may help with both athletic and cognitive performance, and one study shows Alpha-GPC powder to benefit Alzheimer’s and stroke patients. Alpha GPC (full name L-Alpha glycerylphosphorylcholine and commonly known as choline alfoscerate) is a great natural nootropic that can stack well with other nootropics but does a good job by itself. It can be naturally found in the body but you can also find it in supplements and your food. While it can be found in food you’ll find that you get more Alpha GPC from supplements than you do from dairy products and wheat germ. When you first start taking Alpha GPC it is recommended that you take between 300 and 600mg. If you find that you need a little more you can always take more as the nootropic is well tolerated. Splitting up to 1200mg into two doses a day has been shown to be effective and safe, but always make sure that you start out small and build up as you need to. Enhanced Memory – The most well-known benefit of taking Alpha GPC is how impressive it is for boosting memory. This is because it contains a lot of choline that is then converted into the acetylcholine neurotransmitter that is used to improve memory formation and recall. Studies have shown that choline can be used to treat many age-related problems such as dementia and Alzheimer’s disease. One study in particular showed that it was able to help healthy volunteers recover from a temporary chemical-induced amnesia. Boosted Energy Levels – While Alpha GPC is best known as a memory booster it is also effective as a stimulant. Users say that taking this supplement gave them a good boost of energy for their workouts. 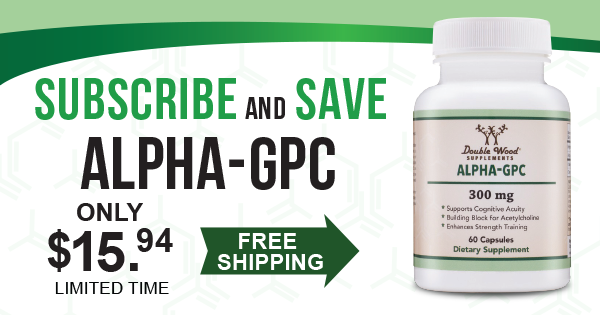 Neuroprotective Benefits – Alpha GPC has been shown to protect and support the health of your brain by stimulating the production of new brain cells and also stimulating the repair of damaged cell membranes. This effect also gives Alpha GPC age-defying benefits. Enhanced Strength and Speedier Recovery – Because Alpha GPC stimulates Human Growth Hormone production it can be used by athletes or anyone who is looking to enhance their performance, build muscle mass, and recover faster from an intense workout. Taking 600mg of Alpha GPC 90 minutes before hitting the bench press has been shown to give you 14% more power. Enhanced Mood and Mental Endurance – Alpha GPC users have reported that taking the supplement enhances their mood and gives them extra mental stamina. This could be caused by the choline in the supplement that reduces mental fogginess and improves alertness. It could also have something to do with the human growth hormone production, which is known to improve longevity, energise the body, and have anti-aging effects. Great Choline Source – Alpha GPC is the best choline source you can include in a nootropic stack because it makes such a perfect partner for racetam supplements. Combining it with nootropic supplements give a stack enough choline to offer a nice mental boost and keep the negative side effects of racetam such as headaches at bay. Alpha GPC makes for a great choline source for stacks. It works particularly well with racetams. The best Alpha GPC stack involves mixing the supplement with Aniracetam and Noopept. This stack is designed to improve your cognition and it involves combining 300mg of Alpha GPC with 10mg of Noopept and 800mg of Aniracetam once or twice a day. 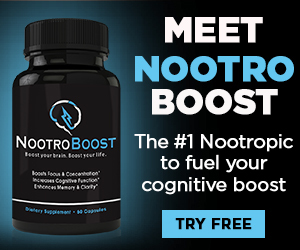 Nootropics Club have researched trusted stores online and can give you the advice you need. Nootropics Depot, and Double Wood Supplements are stores we trust and can recommend to you. You will be able to find Nootropic supplements here at a good price. Happy Shopping!